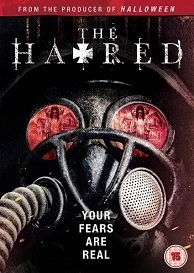 The Hatred is out on DVD on October 8th. Reagan and three of her closest friends travel to her former professor and mentor's recently purchased country estate for a weekend of fun, house sitting, and watching the professor's young daughter, Irene. Unbeknownst to everyone, the house and grounds hold a dark secret and evil deeds perpetrated and buried within by its former malevolent owner, a former Nazi officer in hiding, who menacingly forbade anyone from entering his property. Their arrival, the first since these secret acts of horror occurred, unleashes a night of terror and a fight for survival none of them could have ever imagined. Bodied - Official Trailer - Produced by Eminem.